Happy April Fools everyone! Gerda inspired me to create a card for this day and I hope I stepped up to the challenge. I'm sharing a sneak peek for a new stamp set releasing on April 5, called Chicken Scratch. This set consists of multiple chickens and a pig. The pig is really cute but random among this set so it was PERFECT for this card. 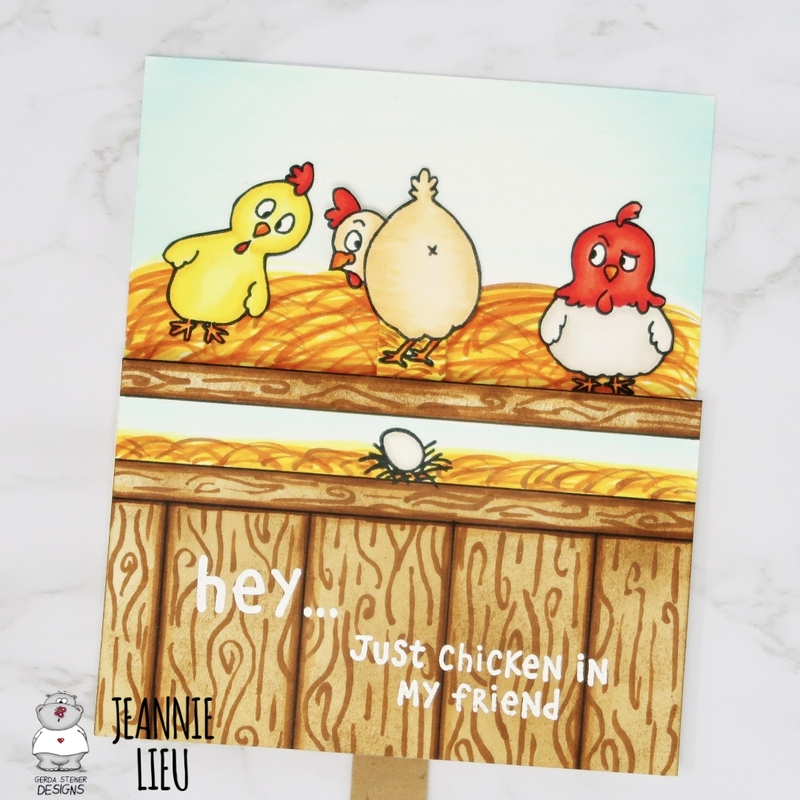 The idea behind it is that they are in a chicken coop and it seems as if a pig laid an egg. As we all know, pigs don't lay eggs but chickens do. I needed to get the pig to swap out and have the chicken appear. I used a double slider mechanism to accomplish this. I created a video to show the process of putting this card together and I thought it turned out to be pretty funny. I hope you enjoy it!